Sir I am a student of KLE University UG course (BDS entrance results)and I am looking for my result so please can you give me the date of my results and provide me the page where can I download the results and informed me when the result will announce? KLE University has already announced its UG course (BDS entrance) results and you can check your results from the official site of the KLE university. You need to fill your application number and click on â€œget me resultâ€� , you will get result as well as the counseling letter . Sir I am a student of KLE University UG course and I am looking for my result for 2nd year BSc in Radiography exam feb-2012 so please can you give me the date of my results and provide me the page where can I download the results and informed me when the result will announce? Your results were published in the official website of the University. I am giving you the pdf file containing the results of 2nd year BSc Radiography exam held on feb-2012. You can use the file for finding your results. sir i am intrested in KLE university (MBBS Course)but the tution fee referd as website its 4 lac and 3 separate DD as 100000 +120000+280000 .Is it mendatory to pay a single instance or can pay in few installment . 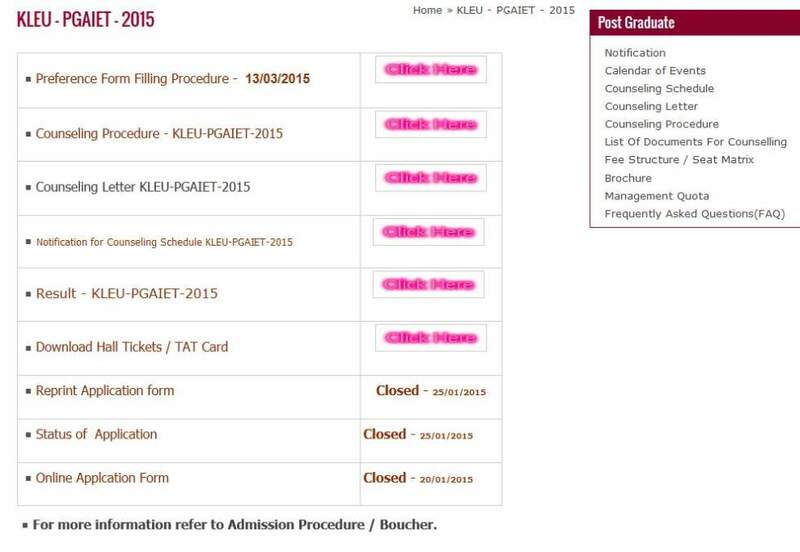 I am searching for the KLE University KLEU-PGAIET-2015 result? 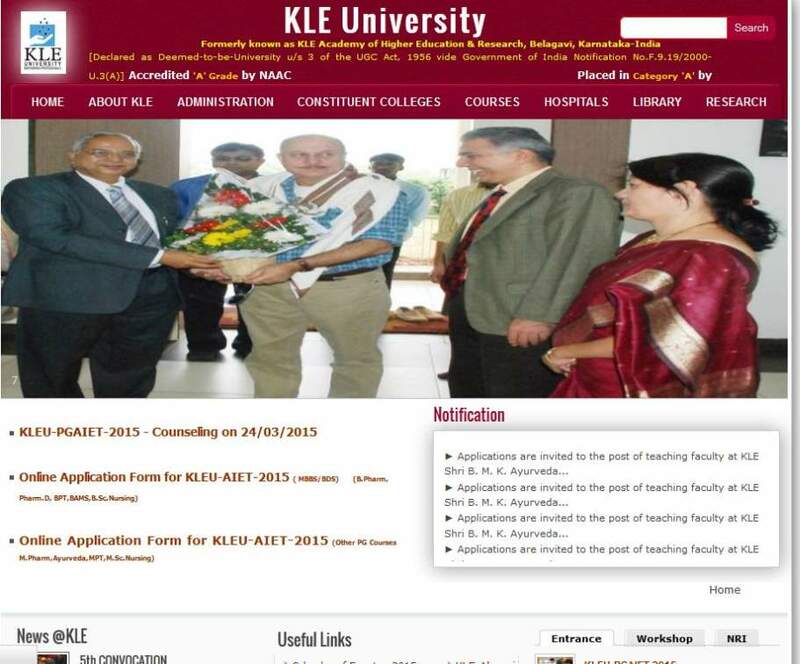 Can you please tell me from where I can download the KLE University KLEU-PGAIET-2015 result? When you visit at the above link you will find the Result - KLEU-PGAIET-2015 link at the middle of the page. You should need to click on that option. This will opens the KLEU - PGAIET - 2015 page. For download the result you should need to Enter Your TATNO and Enter your DOB after that click on the submit option.